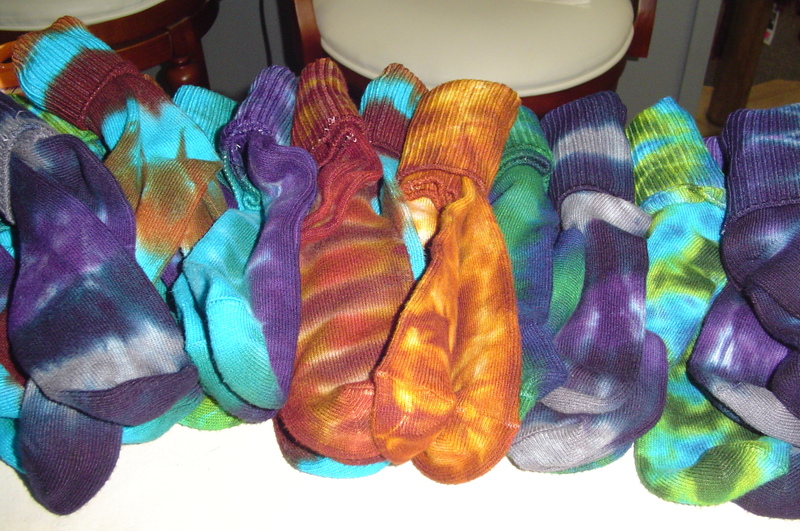 These Earth Friendly, made of BAMBOO and ORGANIC COTTON socks are the BEST! Thermal regulating which means they are warm in the winter and cool in the summer. They also wick moisture away which keep your tootsies very comfortable. They come in a standard medium size which will fit from a women's 5 to 10 shoe size or a man's 5 to 9 shoe size. These tie dyes are exclusively one of a kind handmade by our good friend Rachel Huff who has many years of tie dyeing under her belt. Please choose a color but do understand that no two tie dyes are ever alike and we can only come close to what is pictured.